Take the guesswork out of making beaded earrings! 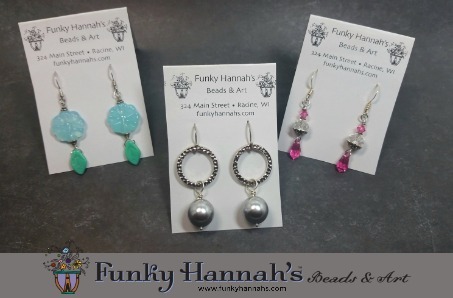 It is so fun, easy and inexpensive to make your own dangling earrings with our help. You’ll learn the basics of the tools, wires and all our design secrets for making two pairs of earrings of your own creation!